World championship boxing presented by Bob Arum's Top Rank returned to the Mecca of Boxing Madison Square Garden last night with a WBO World Welterweight title bout between boxing veterans and future Hall of Famers, Amir Khan (33-5, 20 KOs) and Terence Crawford (35-0, 26 KOs). 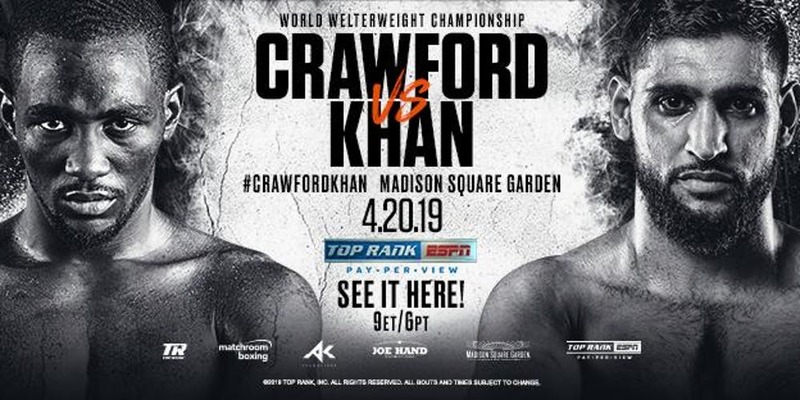 Despite the fact that Crawford entered this bout as the favorite in betting circles, many boxing insiders believed that this would be a competitive matchup between two proven warriors. Unfortunately, Khan did not live up to the expectations of these boxing analysts. Crawford started the fireworks early in the main event with a first round knockdown. The shot that sent Khan crashing to the canvas was a big right hand to the head. Although Khan pulled himself up from the mat, Crawford's message had been sent loud and clear to Khan, who appeared to be on shaky legs for the remainder of the opening frame. Khan answered the second round bell a scared man, fighting most of the round with cautionary and defensive maneuvers. Khan appeared to settle down in the third round when he started to let his hands go against Crawford, who appeared to hold back offensively throughout the round. In the fourth round, Crawford unloaded on Khan with a multi-punch combo. Khan, again being reminded of Crawford's power, moved away from the pressure and chose not to exchange blows with the "Pride of Omaha." Crawford continued to stalk Khan, and around the 30 second mark of the fourth, hurt Khan again with a viscous multi-punch combo. Khan, hoping to make it to the bell, "jumped on the bike," and moved away from Crawford. He saved face in the eyes of the fans by cracking Crawford with a hard right hand to the head as the bell rang. Crawford snapped Khan's head back with a well-placed right hand to the head in the fifth. For the remainder of the round, Khan's form "went to hell" as he swung wildly at the calm and composed Crawford. At the end of the round, Khan walked back to his corner a frustrated and disheveled man. In the sixth round, Crawford connected with a left uppercut that landed below the belt. The referee, taking notice of the incidental low blow, called for a timeout to give Khan adequate time to recover. Instead of taking the full five minutes he was entitled to, Khan informed the ringside physician and his corner that he was unable to continue in the bout. The end came at the 47 second mark of the sixth round of a scheduled 12 round contest. Crawford walked away the winner by TKO, and called out Errol Spence in his post-fight interview. Knockout artist and Brooklyn native Teofimo Lopez (13-0, 11 KOs) added another knockout to his record last night over Finland's Edis Tatli (31-3, 10 KOs). Both fighters spent the opening round feeling one another out. Lopez put pressure on Tatli in the second round. Tatli employed some "fancy" footwork in the fourth round, as Lopez stalked him around the ring. Tatli had a smart game plan through four, choosing to not brawl with the dangerous and tough Lopez. Lopez finally caught up with Tatli towards the end of the fourth, landing a series of big shots that forced Tatli to wrap him up. Lopez landed a hard right hand to the ribs of Tatli that dropped the fighter to his knees. The referee counted Tatli out at the 1:32 mark of the fifth round. Lopez celebrated his eleventh knockout victory with a back flip. Newark, New Jersey's Shakur Stevenson (11-0, 6 KOs) continued his winning ways last night, and in the process captured the IBF Intercontinetal and NBO Featherweight titles. Stevenson's opponent Christopher Diaz (24-2, 16 KOs), trained by legendary trainer Freddie Roach, wore trunks that paid homage to the Philadelphia Phillies logo text style. The two fighters spent the first round feeling one another out. Stevenson fought a smart second round as he landed several solid and clean shots, and displayed outstanding defense against his tough veteran opponent. Stevenson proved to be the faster fighter throughout round three, giving Diaz problems adjusting to his style. Stevenson connected with a big straight left to the head in the third. Later in the round, a multi-punch combo around the 30 second mark shook Diaz. By the fifth round, every shot Diaz landed was answered by double the number of shots by Stevenson. Stevenson peppered a frustrated Diaz with multiple straight left-right hand combos in the fifth round. By the sixth round, Stevenson was toying with Diaz as he tee'd off on him at will. Diaz winced under a hard left hand in the first minute of the sixth round. In the seventh round, both men were noticeably taking turns stepping on one another's lead toes as they threw punches. In the tenth and final round, the two fighters were openly taunting one another. Both fighters cruised through this round. The only "notable" moment involved Stevenson urging an exhausted Diaz to come forward and strike him. The judges scored the bout 100-90, 99-91, and 98-92 for Stevenson. 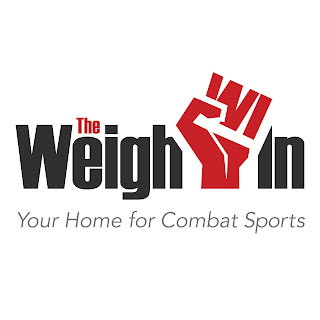 The pay-per-view portion of the card kicked off at 9:00 PM EST with a lightweight fight between Bryan Vasquez (37-4, 20 KOs) and Felix Verdejo (25-1, 16 KOs). In what could have been a competitive fight, Felix Verdejo dominated the ten round contest. Verdejo picked up the momentum in the second, when he easily won the round by landing the cleaner shots throughout the frame. In the third round, Vasquez aggressively came forward numerous times but was always greeted with a Verdejo jab to the head. As the round came close to its end, a cut appeared under Verdejo's left eye. Verdejo connected with a big left-right hand combo to the head of Vasquez in the fifth. Verdejo continued to put pressure on Vasquez in the sixth and seventh round, but Vasquez escaped these attacks or wrapped his opponent up. In the eighth round, Verdejo landed a big right to the head, followed up with multi-punch body shots. In the tenth round, Vasquez hurt Verdejo with a left to the head. Both men, on shaky legs, exchanged big shots in the center of the ring during the final seconds of the fight. The judges scored the bout 97-93 twice and 98-92 for Verdejo. Frank Galarza (20-3-2, 12 KOs) fought Carlos Adames (17-0, 13 KOs) for the NABF/NABO Super Welterweight title. The two fighters spent the first round feeling each other out. The big highlight of this opening round was an Adames big left hand to the side of Galarza's head. There was limited action again in the second round as both men continued to fight cautiously from a safe distance. Adames, who is trained by Robert Garcia, came out swinging in the third round. Adames followed up his offensive onslaught in the fourth round, when he knocked Galarza down in the first 30 seconds of the round with a left hand to the jawline. Adames jumped all over Galarza when he pulled himself up from the canvas. He beat Galarza into the corner with a viscous multi-punch combo that forced referee Benjy Esteves to call a halt to the action at 1:07 of the fourth round of a scheduled ten rounds. Edgar Berlanga (10-0, 10 KOs) made fast work of Samir Barbosa (37-16-3, 26 KOs) last night. Berlanga, the fan favorite, put pressure on Barbosa early in the opening frame of a scheduled eight round middleweight contest. A Berlanga left hand to the jaw stunned Barbosa, and sent him stumbling back into the ropes. The referee saw enough at the 46 second mark after Berlanga landed two consecutive straight right hands to his opponent's face. Ireland's Larry Fryers (10-1, 3 KOs) defeated Dakota Polley (5-3, 2KOs) in a six round super lightweight contest. The two fighters spent most of the first round feeling one another out. Fryers hammered away at Polley, the son of current professional Byron Polley, in the second round after appearing to settle into his fighting rhythm. Fryers landed big right and left hands to the head of Polley, coupled with an increase in body shots during this frame. By the fourth round, it was evident that Fryers was throwing more punches. Despite this fact, Polley was not the one with swelling under both eyes. By the fifth round, Fryers had officially landed more punches in every round than his opponent. The action was paused in the fifth round around the 1:59 mark after the referee noticed the bad cut above Polley's right eye caused by an accidental headbutt. The doctor examined the cut and opted to allow him to continue. Soon after the timeout, Fryers went on the attack and knocked Polley off balance with a multi-punch combo. Polley returned to his corner with blood running down the side of his face. Polley's cut man certainly earned his paycheck last night at the Garden! Before the start of the sixth round, the ringside physician took another look at Polley's eye and allowed him to continue. Polley lost a point in the sixth for what appeared to be rabbit punches. All three judges scored the bout 60-53 for Fryers. Two-time Indian Olympian Vikas Krishan (2-0, 1 KO) continued his winning ways as a professional in the super welterweight division with a unanimous decision victory over Missouri's Noah Kidd (3-2-1, 2 KOs). Krishan answered the opening bell throwing big shots, however, slowed down midway through the round. Krishan connected with a flush right hand to the jaw of Kidd in the first round. Krishan landed a series of big left hands to the head and body of Kidd in the third round. At the end of the third round, blood trickled out of a cut on the side of Krishan's right eye. A Krishan left hook to the Kidd's head in the fourth appeared to take the steam out of him. This shot forced Kidd to readjust his defensive stance, as he clearly kept his guard up to better protect his head as the fight continued. Kidd's big uppercuts and shots forced Krishan to backpedal into the ropes in the fifth round. In the sixth and final round, Kidd, realizing he was behind in the cards, desperately charged at Krishan looking for a late knockout to no avail. The judges scored the bout 60-54 twice and 59-55 for Krishan. Bantamweights Lawrence Newton (12-0, 7 KOs) and Jonathan Garza (7-3, 2 KOs) fought in a six round contest. Early on, Garza swung wildly trying to make something happen against the taller and lengthier Newton. Newton connected with big right hands to Garza's head in the second round. Garza spent much of the third round trying to punch up at Newton. These upward shots opened himself up for Newton to bang away at Garza with quality body work. Garza tried to battle back in the fourth but was peppered with clean and accurate shots as he moved forward. Garza showed spirit in the closing seconds of this round by landing a hard right hand on Newton's jaw. Garza chased Newton in the fifth round, until Newton began to pick Garza apart with multi-punch combos to the head and body. The two men had a good exchange in the final round, but Newton again had the advantage during this frame by landing the cleaner and more effective shots. Garza looked smoked as the final bell rang. The judges scored the bout 59-55 twice and and 60-54 for Newton. After a pro wrestling fan’s dream weekend with events such as Wrestlecon, The G1 Supercard, NXT Takeover New York, and the WWE Hall of Fame Ceremony (I’m still waiting for an actual building to be erected to enshrine these hall of famers), the day has arrived for the granddaddy of them all, the showcase of the immortals, Wrestlemania. This year 82,265 fans embarked upon MetLife Stadium, the home of the New York Giants, in East Rutherford, New Jersey and were treated to a marathon that clocked in at nearly seven and a half hours. One of the major questions posed by fans was how this show would play out with the undeniable pressure of the upstart AEW coming in the fall and the massive aforementioned G1 Supercard (a joint event by New Japan Pro Wrestling and Ring of Honor) that was held at Madison Square Garden, the “home” arena of WWE for decades. Aside from the competition posed by competitors, the card advertised leading up to the event was clearly devoid of WWE staples John Cena, The Rock, Hulk Hogan (after the drama that accompanied his return to the company), and the man who personifies Wrestle mania - The Undertaker. Unfortunately the men of 205 Live were denied the respect they deserve as they opened the kickoff show in front of a half full MetLife Stadium. Long Island’s Tony Nese put on an outstanding performance as he withstood Murphy’s Law to execute a German Suplex that propelled Murphy into the turnbuckle and he followed it up with the Running Nese to earn the pinfall. After Asuka unceremoniously dropped the Smackdown Women’s Championship two weeks ago, she was my favorite to win this until Sarah Logan eliminated her. The fans believed Sarah Logan won until Carmella emerged from outside the ring to super-kick her over the top rope for the victory. The streak is over! Curt Hawkins’ 269 match losing streak ended as he rolled up Scott Dawson for the pinfall! Saturday Night Live’s Michael Che and Colin Jost attempted to get the upper hand on the Monster Among Men as they emerged from beneath the ring after hiding there for the duration of the match. After Strowman eliminated both Hardy Boyz, Che attempted to eliminate himself by stepping over the top rope, but received a shot to the jaw to knock him off the ring apron. Braun then launched Colin Jost over the top rope into a collective of Superstars for the win. Just when the WWE Universe didn’t think the show could kick off any better than with Alexa Bliss and Hulk Hogan, Paul Heyman stormed down to the ring and declared that his client refused to sit around all night if he wasn’t closing the show and wanted to get business done. Seth Rollins solidified his position in a title match at The Showcase of the Immortals after he outlasted 30 other men to win this year’s Royal Rumble. It didn’t take Rollins long to declare that he would challenge The Beast for his Universal Championship. After Brock laid waste to Rollins for several minutes, Rollins shoved Brock into the ref and capitalized with a low blow. Rollins proceeded to execute three consecutive curb stomps to become the new Universal Champion. Another surprising entry early on the card pitted The Phenomenal One against The Viper. AJ styles dodged an RKO attempt by Orton while he attempted a Phenomenal Forearm as he grabbed Orton by the back of the head and drove his throat down into the top rope. Styles then successfully landed his second Phenomenal Forearm attempt while Orton was stunned to solidify the pinfall victory. After it appeared Ricochet and Black would win when The One and Only landed a magnificent 630 from the top rope, The Usos proved their resilience and landed dual top rope splashes from opposite corners on Nakamura and Sheamus to retain their titles. This match came to fruition after The Miz and Shane-o-Mac came up short in their attempt to regain the Smackdown Tag Team Titles at Fastlane and Shane turned on Miz as he engaged in a vicious beat down of the A-lister in front of his father. This match exceeded my expectations as it spilled all over the stadium after The Miz’s father was beat down by Shane. Eventually the two men scaled a camera platform in the middle of the crowd after destroying the foreign commentary section. The Miz proceeded to superplex Shane off of the platform to a pile of mats and plywood about 15 feet down. The way they landed left Shane on top allowing referee Charles Robinson to make the three count. It appeared that Natalya and Beth Phoenix had the titles won after Phoenix dropped Bayley on her face with a modified gut wrench, however, Billie Kay tagged Phoenix before she left the turnbuckle. As Phoenix pinned Bayley, the Iiconics threw her out of the ring and Kay pinned Bayley to win the titles. After weeks of being run through the ringer by Mr. McMahon, Kofi’s counterparts Big E & Xavier Woods successfully ran the gauntlet on Smackdown Live to earn Kofi his title shot at Wrestlemania. Kofi seemed to be a man of destiny as he withstood several running knee strikes and submission attempts in the form of the LeBell lock. Kofi sealed the victory with the Trouble in Paradise to become the new WWE Champion. Blink and you would have missed this match. Rey landed wrong on his ankle coming off the top turnbuckle allowing Joe to lock in the Coquina clutch for the quick submission victory. This match marked Roman’s first singles match on pay per view since his return from a battle with leukemia. Roman’s opponent, the man once billed as Vince McMahon’s chosen one, Drew McIntyre. McIntyre dominated the majority of the contest until, in typical Roman Reigns fashion, Roman got “fired up” after being slapped and proceeded to hit the Superman Punch and The Spear in succession for the pinfall victory. After the match, it was time for the Elias concert. Halfway through the concert, a strange video highlighting Babe Ruth played on the Titantron. At it’s conclusion, Thuganomics was displayed in conjunction with John Cena’s classic entrance theme. Cena came to the ring dressed like it was 2002, dissed Elias in classic fashion, and hit the F-U and Five Knuckle Shuffle to the loudest pop he’s received in 15 years. Batista made his return to WWE several weeks back on RAW when he assaulted Ric Flair backstage during his 70th birthday celebration and proceeded to call Triple H out. The two proceeded to make their demands regarding the stipulations of the match. First, Triple H accepted the challenge but declared it would be contested under No Holds Barred rules. Then Batista countered and told Triple H he wanted him to put his in-ring career on the line - which Triple H aptly accepted. This match was absolute carnage. Broken announce tables, ring steps, pliers, and of course - sledgehammers. Just when it seemed Triple H’s career was in jeopardy after Batista kicked out of a Pedigree, Ric Flair emerged to pass him a sledgehammer. Triple H took down Batista with it, then utilized another Pedigree to seal the victory. Much to the chagrin of the WWE Universe, Kurt Angle was scheduled to square off with Baron Corbin in what has been coined his farewell match. Kurt arrived in great shape, landed several German suplexes, The Angle Slam, and the ankle lock submission - none of which did the job. Angle then attempted a moonsault but, unfortunately, Corbin rolled out of the way and trapped Kurt in the Deep Six to defeat the only Olympic Gold Medalist in WWE history. Finn Balor shockingly power bombed the much larger Bobby Lashley and proceeded to land the Coup de Grace to become the new Intercontinental Champion in impressive fashion. 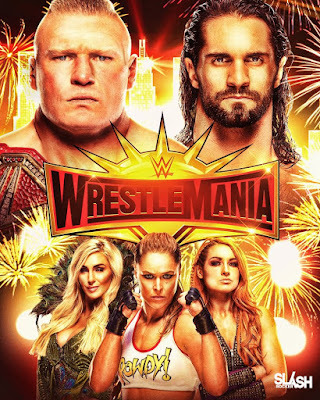 Initially “The Man” Becky Lynch earned her spot against Ronda Rousey by winning the Women’s Royal Rumble match, however, she was supplanted from the bout after being suspended by Mr. McMahon and replaced with Charlotte Flair. After Becky earned her way back into the match making it a triple threat contest, Charlotte shocked the WWE Universe by defeating Asuka for the Smackdown Women’s Championship a couple weeks ago on Smackdown Live making tonight’s bout a winner take all affair. All of these ladies put on performances worthy of walking out with the titles but it was The Man’s night. With Charlotte laid out on the floor, Ronda Rousey hoisted Becky up for the Piper’s Pit and as she dropped her to the canvas, The Man rolled Rousey onto her shoulders to claim the pinfall victory. 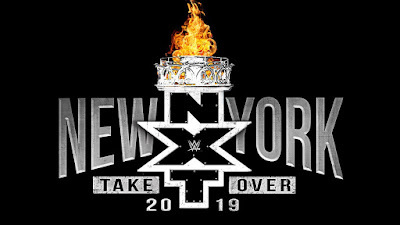 The marquee weekend of the year for professional wrestling kicked off this evening as NXT Takeover New York emanated from the bustling mecca of Brooklyn sports - The Barclays Center. The highly anticipated five match card featured all of the NXT titles, in addition to the NXT UK Title, contested and was highlighted by Adam Cole vs. Johnny Gargano for the vacant NXT Title. The explosive night of action kicked off with War Raiders (I still find myself wanting to call them War Machine but I digress) defending their tag team championship against the winners of the 2019 Dusty Rhodes Tag Team Classic - Aleister Black and Ricochet. Many labeled this bout a clash of styles but these two teams rapidly proved all who bared witness to be utterly wrong. Not only did Ricochet impress the crowd with a testament to his strength conditioning as he perfectly executed a Scott Hall-esque fall away slam on Hanson but Hanson later drove the WWE Universe to a fever pitch as he launched himself from the top turnbuckle to the outside where he laid waste to all of the other competitors with a cannonball splash. This match reached it’s conclusion as War Raiders obliterated Ricochet with a barrage of devastating tandem offense as they first connected on Thor’s Hammer and followed it up with Fallout (a guillotine leg drop delivered by Hanson from the top turnbuckle while Rowe held Ricochet) to get the 1-2-3 and retain their titles. This contest pitted Velveteen Dream in his first defense of the North American Championship since supplanting Johnny Gargano as champ against former UFC star “The Original Bro” Matt Riddle. After the bout commenced with Velveteen Dream attempting to rattle the cage of Riddle with his antics and a stomp to his bare foot, The Original Bro proceeded to display a proficient ring IQ as he attempted to break down the champ with a fusion of wrestling and MMA tactics. Dream was able to bring himself back into the match, however, with a Hulk Hogan big boot, a Fameasser, and a Codebreaker. Late in the match, Dream averted certain disaster again as he survived another onslaught of offense from Riddle. First, Riddle stood on the middle rope and German suplexed Dream back into the ring, then he scaled to the top turnbuckle and beautifully landed The Floating Bro (a moonsault that twists into a senton), and lastly cinched in The Bromission. Just moments before the capacity crowd thought a submission was imminent, Velveteen Dream rolled over with the hold still locked in and was able to pin Riddle’s shoulders down for the pinfall. 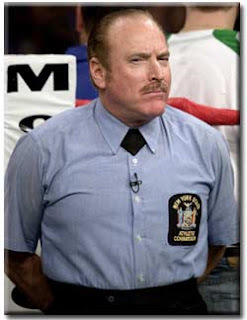 At first glance, the lumbering Walter (yes, that’s his entire ring name) from Vienna, Austria is reminiscent of how one might imagine a Gestapo version of Lenny from the classic, and fixture of many high school reading lists, Of Mice and Men. All jokes aside, the undefeated 6’4” sports entertainer proved to be The Bruiserweight’s most imposing threat to date for his 685 day title reign. Walter dictated the course of the action for the majority of the match by imposing his size and strength on Pete Dunne. While Dunne put forth a spirited defense loaded with several applications of his signature joint manipulation and utilization of his speed advantage, The Ring General was just too much in the end. After a vicious big boot to the jaw of Dunne turned the tides of his late push, Walter then power bombed the defending champ from the top rope and as if that wasn’t enough, he ascended to the top rope and came down with a near 300 lb splash which proved to be the final nail in the coffin of Dunne’s title reign. After imposing her will on the NXT Women’s division with her Horsewomen cohorts for several weeks and ruining efforts to crown a number one contender, Commissioner William Regal declared that the Queen of Spades would defend her title in a fatal 4-way match. The ladies kept the action at a frenetic pace throughout this contest. Without the other Horsewomen at ringside, Baszler withstood Belair’s KOD, Kairi Sane’s Insane Elbow, and a moonsault from Io Shirai as it seemed her reign of dominance was about to end. After Bianca Belair hoisted both Shirai and Sane on her shoulders and dropped them with a brutal KOD, Baszler came from out of nowhere to trap Belair in the Kirifuda Clutch for the submission victory. The NXT Championship was originally set to be defended by Tommaso Ciampa against Johnny Gargano until neck surgery unfortunately put him on the shelf and required him to relinquish his title. Adam Cole earned his spot in the match after he survived a brutal fatal 5-way match against Velveteen Dream, Matt Riddle, Aleister Black, and Ricochet a couple weeks ago on NXT TV. 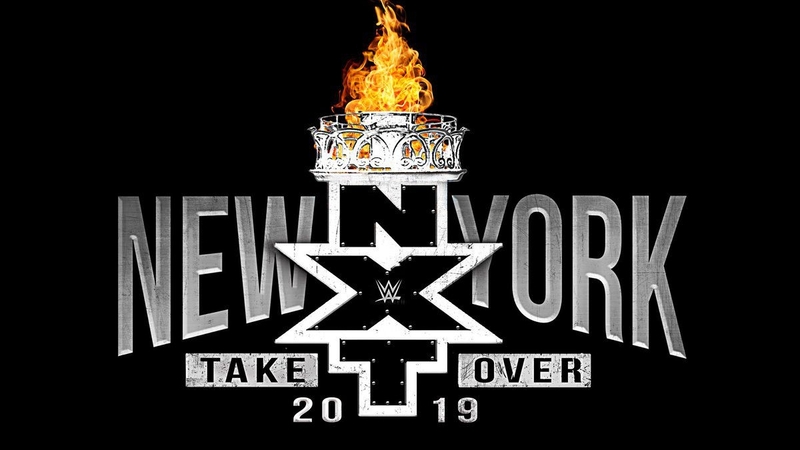 With one fall separating Johnny Gargano from leaving New York with the NXT Championship, the entire Barclays Center rose to their feet generating an electricity fitting of this title bout. The end of the match did not arrive without one more feat of adversity for Gargano to overcome as the other three members of the Undisputed Era attempted to push Adam Cole to his first NXT Championship. After Gargano overcame the trio of Fish, Strong, and O’Reilly, it appeared Adam Cole was still going to triumph as he measured a seated Gargano up for a kick to the back of his head. At the last second, Gargano ducked out of the way and trapped Cole in the Gargano Escape for the submission victory. ESPN hosted a huge night of combat sports from the city of Brotherly Love, Philadelphia, PA this past Saturday night. With the city a buzz with the break out start of the Philadelphia Phillies and their new $330 million-man Bryce Harper, along with the impending play off run by the Sixers, the city was ready to host a great night of action both inside the octagon and the squared circle. Top Rank Promotions invaded Philadelphia to provide the night's boxing action as they featured a card topped by the first defense of WBC Light Heavyweight Champion Oleksandr Gvozdyk (17-0, 14 Kos). The card also featured a fight that was supposed to be a welterweight showcase for Egidijus Kavaliauskas (21-0-1, 17 Kos), who is being groomed to be a challenger for WBO champion Terrance Crawford. A host of undercard action also took place (which we will get to later), but a few things became clear while watching the fights ringside. These sentiments about the nights action were verified once this writer was able to finally watch the televised broadcast. The first thing that was verified was something that I’ve had a sneaking suspicion about for some time. That is that for all the hype (and rightly so), surrounding Eastern European fighters due to their extensive amateur pedigrees, outside of Vasyl Lomachenko, most of these Eastern European fighters tend to have trouble when they face fighters that can fight on angles. They tend to also have problems with fighters that can fight on the inside and match their strength and aggressive nature. It was something first noticed during the Andre Ward – Sergey Kovalev fights and was confirmed on Saturday night. While fighters from this part of the world (Eastern Europe) tend to be fantastic from a fundamental standpoint, many have issues with the types of things that are taught in gyms in Latin America and the United States. I’m talking about the type of boxing that is predicated on defense by using both the upper body and legs to avoid punches. Counter-punching boxers that know how to set traps with their small footwork, as well as fighters that know how to avoid pressure and take away their opponents’ aggression and one-two power punching style. Some of these points were on display during the main event. 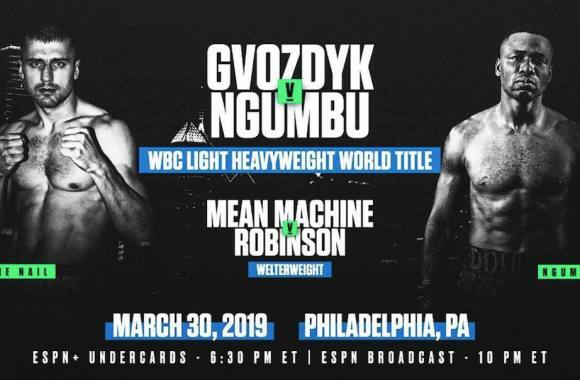 With Gvozdyk defending his crown against the game Doudou Ngumbu (38-9, 14 Kos), a fight that wound up having a bizarre ending when the contest was stopped due to a leg injury in the fifth round. Up until the point of Ngumbu not being able to finish, the fight and thus losing by technical stoppage, he was having some success against the power punching Gvozdyk. His constant movement and attack, which consisted of him jumping in and out of range to try and land a punch or two before getting out of range seemed to have the champion a bit frustrated. Gvozdyk was beginning to come on and started to land some thudding straight body shots that clearly caused Ngumbu some issues. It seemed that the tide of the fight was going to start to turn in the favor of the champion, who wasn’t being held at bay by Ngumbu as the fight was starting to near the middle rounds. Ngumbu couldn’t land anything that made Gvozdyk think twice about charging forward towards his prey. As a result, the ending that seemed to occur happened a bit prematurely but was most likely going to be the way the fight would have ended regardless, with Gvozdyk winning by stoppage. It’s a shame to see Ngumbu's opportunity at championship glory and financial stability for his family come to an end the way it did, but so is the nature of the beast that is boxing. Gvozdyk will continue forward and will stake claims as both the WBC and Lineal Light Heavyweight Champion of the World. With a large amount of talent invading the division along with the current champions, nothing is clear as to who the best light heavyweight in the world. Gvozdyk will be competitive against any of the other champions or challengers, which will make watching this division clear itself out over the next couple of years a fun thing to witness. One fighter of note that was in the ring after the fight was former super middleweight contender and Philadelphia native Jesse Hart. Hart has told TWI on several occasions that he is also thinking about moving up to light heavyweight to fight the big names. In the opening bout of the telecast and the co-feature, Kavaliauskas was matched against Philadelphia native and veteran welterweight Ray Robinson (24-3-1, 12 Kos). It was supposed to be a test for Kavaliauskas to see how he would fair against a southpaw that could box and that can do the things mentioned above. What the fans in attendance and watching from home saw was yet another example of that style being an Achilles heel to Eastern European aggression. Robinson was able to use his jab and move on angles creating traps that Kavaliauskas seemed to always walk into. Once Robinson had Kavaliauskas where he wanted, he was able to land lefts to the body or use a check right hook that allowed him to get out of the way from any power counter shots. Kavaliauskas looked confused and frustrated that he couldn’t come forward and cut off the ring on the taller and lengthier Robinson. He did have his fair share of moments in the fight and landed some good clean punches that allowed him to win some of the rounds when Robinson was not being active enough to win the round based off of his boxing. These times and lapses of activity from Robinson allowed for some of the close rounds to be awarded to Kavaliauskas based solely on his aggression. After the ten rounds, one of the judges scored the fight 97-93 in favor of Robinson, while the other two scored the fight even at 95-95. For the record TWI scored the fight 96-94 in favor of Robinson. While neither fighter was satisfied with the outcome, Robinson rightly denied answering a question in the post-fight interview geared towards trying to prop Kavaliauskas as a possible opponent for Crawford by stating he deserves that fight. It was a clear indication that Kavaliauskas may not be ready for that type of challenge and has lots of things to work on if he is going to challenge the best fighter in the world. As for Robinson, the best thing going for him after he wasn’t awarded this victory is the fact that he is available to fight any of the top names at welterweight. At the age of 33, hopefully he is not penalized for putting forth a game effort and is able to get his chance at glory before it is too late. In an IBF welterweight title eliminator, Kudratillo Abdukakhorov (16-0, 9 Kos) defeated Keita Obara (20-4-1, 18 Kos) by unanimous decision. With his victory, he is now in line to face IBF welterweight king Errol Spence Jr. While Kudratillo was effective with his pressure and landed the power shots against Obara to become the mandatory challenger, once again his style doesn’t seem like it would fair well against the much more polished professional Spence. It’s likely that he will wait for his moment of championship glory when Spence vacates the IBF title to face bigger named opposition for bigger pay checks. Philadelphia heavyweight prospect Sonny Conto (2-0, 2 Kos) notched his second victory with a first round stoppage. Conto looks solid and his punches are serious, he is still getting his feet under him as a professional and will continue to be showcased around the country by his handlers at Top Rank before the level of competition increases. Next up for him is a trip to Las Vegas to fight on the undercard of Tyson Fury’s fight in June. Reading native Joshafat Ortiz (6-0, 4 KOs) once again looked impressive with a first-round stoppage over James Thomas (6-5, 6 Kos). He blasted Thomas with a powerful right that hurt him, and continued to mug Thomas with power shots before the fight was stopped. Newly signed to Top Rank, welterweight contender Fredrick Lawson (27-2, 21 Kos) was stunned and stopped by Juan Ruiz (22-4, 14 Kos) in the fourth round at the 1:17 mark. Lawson had an opportunity to make a statement and claim his place as a legitimate contender at the world class level, but he was out gunned by the determination of Ruiz. Philadelphia super featherweight Donald Smith (9-0, 6 KOs) was impressive with his fourth round one punch knockout of Jose Martinez (11-18, 6 KOs). Smith was stunned in the first round when he was gunning for the early knockout. He wisely adjusted his game plan and started to box and set up his shots. In the fourth, he set a trap that Martinez walked straight into and blasted him with a powerful straight left that knocked Martinez out cold. Jeremy Adorno (1-0) won a four round unanimous decision over Sebastian Baltazar (1-4). Adorno faced live competition in his first fight as Baltazar came to Philadelphia to win. Adorno was cracked by Baltazar on several occasions, but showed a good chin for an 18 year old and stormed back with power shots of his own to take the decision. Main Events Promotions heavyweight Cassius Chaney improved to (15-0, 9 Kos) with a stay busy first round stoppage over Christian Mariscal (12-3, 5 Kos).